As Lawrence prepares to lower the fine for possessing small amounts of marijuana to $1, some say there are unknowns regarding marijuana use in the city and how the changes may affect it. Neither the Lawrence-Douglas County Health Department nor local substance abuse treatment center representatives have a position for or against the changes, but both said research isn’t definitive regarding some of the risks of marijuana. There also isn’t a community-wide survey or other data that indicates how prevalent or not marijuana use is in Lawrence. Lawrence city commissioners recently voted to move forward with changes that would decrease the city’s fine for possessing small amounts of marijuana to $1 for first and second offenses. The changes apply to people 18 and over who are convicted of possessing 32 grams or less of marijuana. The commission is scheduled to officially adopt the changes at its meeting Tuesday, when the ordinance comes back for a second reading. Representatives for DCCCA, which provides substance abuse treatment in Lawrence, said that it is difficult to draw conclusions about whether marijuana is a problem in the community because there are no communitywide surveys regarding marijuana use. “It’s difficult for us as prevention and treatment providers to say ‘yes, there is a problem’ (or) ‘no, there is not a problem’ based on what we see,” said Sandra Dixon, DCCCA director of behavioral health services. Dixon said what they have to work with is data collected on people who have received treatment at the two Lawrence centers, which indicates marijuana is not the main driver of those seeking treatment. She said that of the 1,100 people the center treated in Lawrence last year, none came for treatment solely for marijuana use. Rather, she said alcohol and methamphetamine continue to be the primary substances that the center’s clients are abusing, with marijuana being the third most prevalent and only treated as a secondary substance. Dixon said research is mixed regarding whether marijuana is physically or emotionally addictive, but that just like with any substance, when people feel that they have to use marijuana to get through the day, there is dependence. She said it’s not uncommon for meth users to use marijuana to help them come down or sleep and for people, particularly those who have high anxiety, to use multiple sedative substances, such as alcohol and marijuana. Dixon said the center does not have a position on the proposed marijuana possession penalty changes or decriminalization of possession. She said what is more important than penalties is that those who continue to use substances, whether marijuana or anything else, in the face of consequences get treatment. Still, Dixon said that the issue is not black and white. She said the community should have a conversation about harm reduction when it comes to marijuana use. Specifically, she said that just like with alcohol, people using marijuana shouldn’t be behind the wheel or operating heavy machinery and that the conversation is completely different when it comes to kids, as using marijuana and other substances impacts the developing brain. Health officials are also raising discussion points about public health when it comes to marijuana. Lawrence-Douglas County Health Department Director Dan Partridge said in an email to the Journal-World that marijuana research is in its infancy and that claims of benefit and risk should meet the test of scientific rigor. Partridge said the health department does not have a position regarding the changes proposed by the commission, but that normalizing potentially harmful and addictive behavior deserves careful consideration. Ahead of the commission’s March discussion of the marijuana possession penalties, the health department submitted a report to the commission by the Midwest High Intensity Drug Trafficking Area about the potential impact of marijuana legalization in the Midwest. When asked to expand on his comments, Partridge said via email he believes the report provides the proper context for his points about the stage of the research and careful consideration in general related to “any policy considerations along these lines.” Partridge said he wasn’t available to be interviewed by the Journal-World this week. The report, which is funded by the Office of National Drug Control Policy, states that legalization of marijuana has extensive and underreported consequences on public health and safety. The 73-page report covers multiple topics related to the legalization of recreational or medical marijuana in states across the country, including increases in marijuana potency and decreases in the perception of risk. For some states that have legalized marijuana, the report cites potential correlations with increases in violent crime and traffic fatalities. 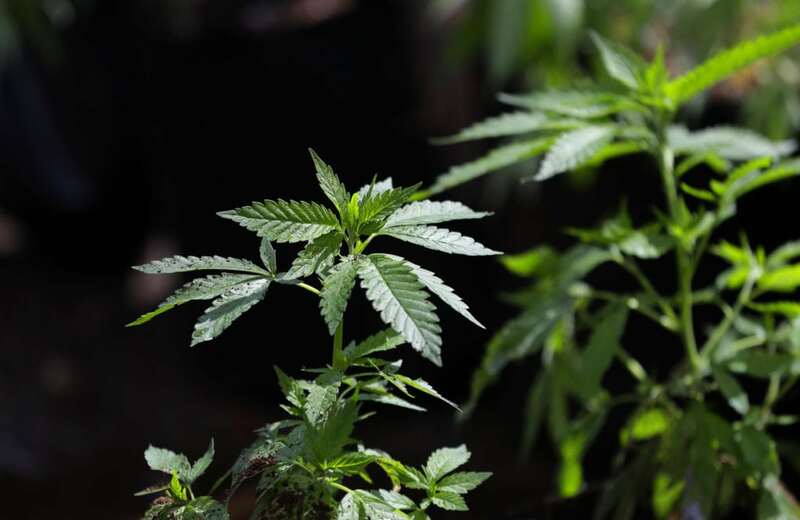 Under the new ordinance, which was adopted on first reading on March 19, those convicted of marijuana possession in municipal court will pay a $1 fine and $63 for court costs, and potentially more in some circumstances. The changes to the ordinance do not affect costs for paraphernalia possession and diversion, but some commissioners have said they are interested in looking at those parts of city code as well. Regarding concerns that the city is essentially legalizing marijuana, Mayor Lisa Larsen has previously said that she doesn’t see it that way. Larsen noted that those caught in possession of marijuana will still be charged and that the charge would still be on their record. Larsen, who previously noted the disproportionate arrest rates for marijuana possession for people of color, has said that for her the changes were about criminal justice. When asked if some of the unknowns noted by the health department and DCCCA create any concerns for him, Commissioner Matthew Herbert said the commission is not advocating for marijuana use or legalizing marijuana use within the city. Herbert said a lot of the negative feedback he’s gotten from the public about the proposed changes relates to the consequences of legalizing marijuana. He said he wants to make it clear that that’s not what the commission is doing, and that it doesn’t have the power to do so. “What we’re doing is simply setting the penalty so that it acknowledges the fact that while our state still views this as an illegal substance, states around us have legalized it and therefore it’s probably pretty ridiculous for us to have an extremely punitive penalty,” Herbert said.